Last time I visited Greenland, sunrise was at 3 am, sunset around 10pm and it didn't really get completely dark. This time, because I will be there a month later. Sunrise will be 2 hours later and sunset 2 hours earlier so the days are quite a bit shorter and the nights definitely darker. A disadvantage is that it will be dark dark at night, particularly as I will be there around the New Moon, not a lot of light from that! So I decided I needed the best headlamp I could get. I bought a Petzl Nao, one of their new Reactive headlamps ( a light sensor in the headlamp adjusts output to requirements) and I have to say it is a fantastic headlamp. Comfortable, well designed and the output compared to other headlamps available is just outstanding. Naturally the trade off is battery life but I also bought some spare lithium ion batteries to go with it. 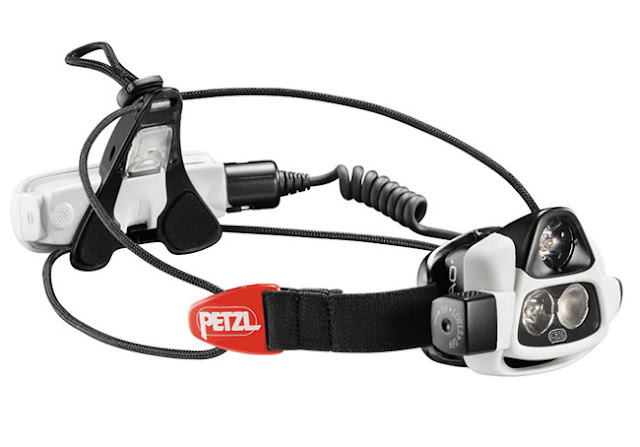 And a feature of the lamp is the ability for the user to adjust the various outputs of the lamp by creating user profiles in Petzl's headlamp software, OS by Petzl. You can vary battery life from less than an hour to 144 hours. Walking down a country road behind the headlamp is like having the road lit by a pretty reasonable car headlamp. Amazing!